Volleyball crew neck sleeveless jersey for ladies. Cut and sewn in stretch cotton.Contrasting side inlaids. Specially designed for volleyball. Snug fit. Betim is the volleyball jersey by Errea designed for the most challenging and difficult competitions. For this volleyball sleeveless jersey we have chosen to use stretch cotton, to provide optimal fitting. 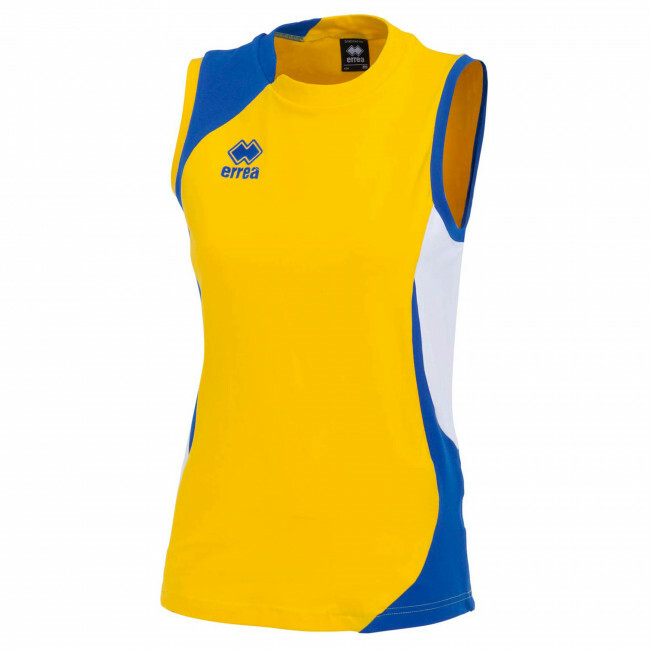 This volleyball sleeveless jersey will follow your athletic movements emphasising their elegance. You will show off the best of you on the pitch and hit your best scores thanks to the perfect fit and wearability of the Betim shirt.